Ready to make this the best year ever? Sign up below for my special EdTech guides, weekly newsletter and special messages! Instant download - click below! Delivered to your inbox... lots of favorites! It's totally free! Enter your email... then check your inbox! ...and three bonus ebooks on Virtual Reality, Reading & Writing EdTech Favorites, and Formative Assessment tools! 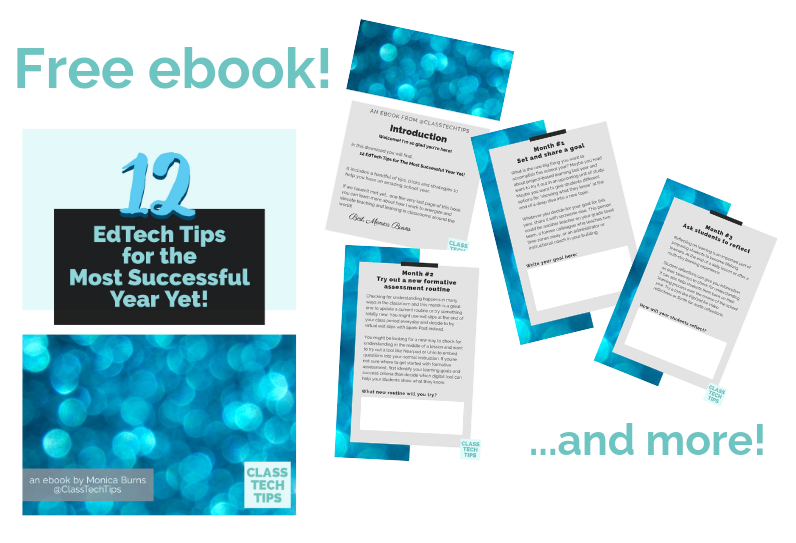 © Copyright 2019 Class Tech Tips, LLC. All rights reserved.